Aguila has been making great .22LR ammunition for a long time. Since 1961, they’ve been one of the largest producers of .22 long rifle in the World. 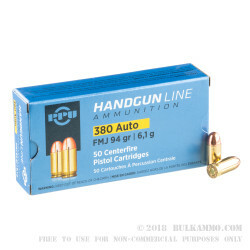 They have a penchant for innovative products that might not seem very mainstream on the American ammunition market, but they have been getting the ammunition out to consumers at a price that makes sense for many years. 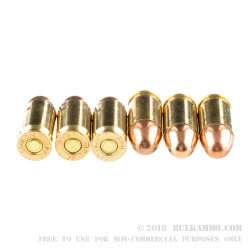 This is their mainstream bulk .22LR ammunition that is rated as a high velocity round at 1280 feet per second muzzle velocity. Perfect for small game hunting like squirrel and rabbit; groundhogs and other small varmints at closer ranges and for the occasional bird. The Aguila name has become synonymous with cheap .22LR, and not in a bad way. 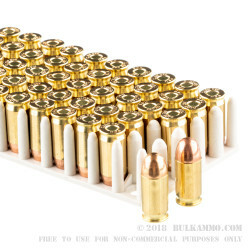 Their capacity for manufacturing and their desire to produce a wide range of ammunition has kept them up near the top of producers by volume for the .22LR cartridge. Long story short: they know what they are doing when it comes to rimfire ammunition. 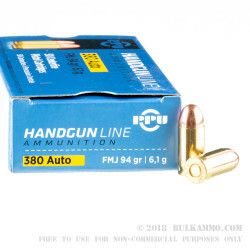 The 38 grain projectile is a hollow point round that offers good penetration and deformation thanks to the material makeup of the bullet and the high speed.